We are in the home stretch of the holiday season. However, there are still parties to attend and hosts and hostesses needing gifts. No one likes to show up empty-handed at the holidays. If you don’t know your hosts well, giving them a present may be tricky. 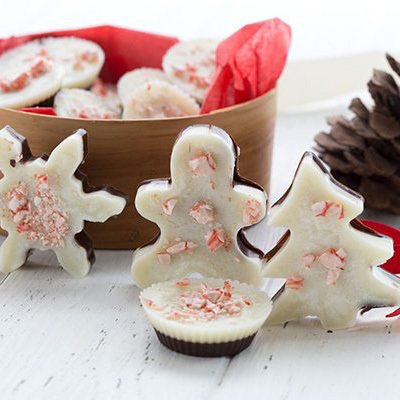 There is one gift that everyone loves: homemade sweets! You also may have guests coming for Christmas and want to share something sweet without worrying about blood sugar spikes. We set out looking for some great, seasonal treats that were gentler on blood sugar. We found a lot! Many of these are calorific but low in carbs, but, many people poopoo calories at this time of year. 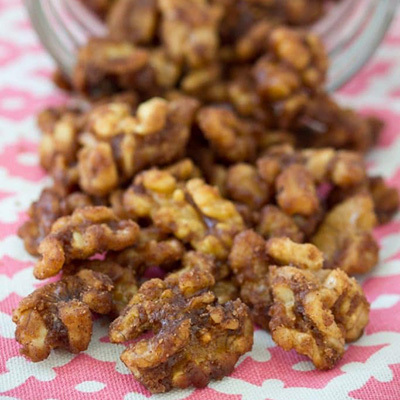 Few things are better than candied nuts, except maybe sugar-free candied nuts! 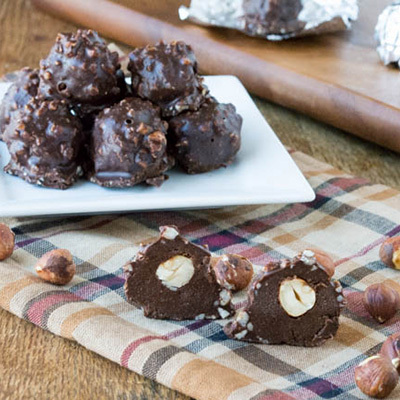 This recipe yields one cup of nuts, containing 973 calories but only 17 grams of carbs! You wouldn’t want to eat a whole cup of nuts all by your lonesome, but it’s a good thing to keep in mind. The recipe takes only ten minutes, perfect for this busy time of year, but the nuts do need to cool completely after cooking. Get the recipe here. 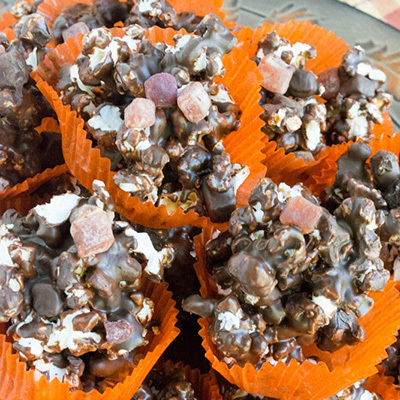 With popcorn strings on the tree and being popped on the fire, this is the perfect time of year for the treats! Although they are frequently associated with Halloween, with just a dash of red and green food coloring or a pretty presentation, you can make a Christmas centerpiece. This recipe calls for only three ingredients. But, you can dress it up in you like! A light dusting of edible glitter in white can emulate snow or gold can make them sparkle for New Year’s Eve without adding calories. The recipe makes 18 balls with 91 calories and 15 grams of carbs each! Get the recipe here. Peppermint bark is a candy only seen this time of year. While you can find breath mints and peppermint patties year-round, the delicious bark is only available on the market for a short time. It’s the perfect seasonal gift to give. Or, save the recipe now and use it in July when you get a yearning for it! This recipe makes 12 servings — two pieces per serving — with 131 calories and under four grams of carbs! Get the recipe here. We can’t blame you if you love Ferrero Rocher. The delicious Italian candies are so good and available everywhere from Target, Walmart and the supermarket! It’s easy to get hooked. The problem is that each serving has 17 grams of carbohydrates, and you’re likely to eat more than one serving. This copycat recipe is only slightly lighter as far as calories go — 202 versus 220 — but has justly slightly over seven grams of carbs. That is a big difference! Get the recipe here. 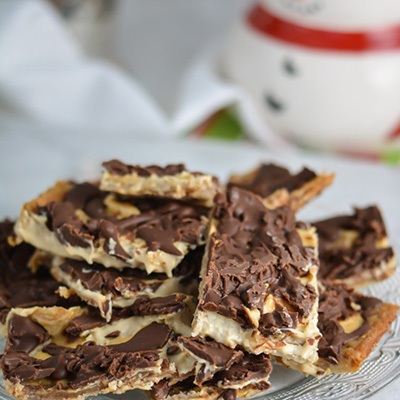 Christmas cracker toffee — known to many as Christmas crack — is a carb bomb made with nothing but sugar and saltines. But, wow is it delicious. There is nothing anyone can do to make this snack healthy. However, by swapping the saltines for light rye crackers and trading out sugar with stevia, this recipe seriously lightens up. The standard recipe comes in at 390 calories and 44 grams of carbs. This light version is 235 calories and 12 grams of carbs! That is a big difference and makes this a treat you can enjoy this winter! Get the recipe here. We hope you enjoy these recipes at your parties in the coming weeks. Happy holidays, everyone! Is There Really Better for You Juice?